With St. Patrick’s Day coming up Friday, Instagram users can not only wear their green, but they can add special stickers to their posts. 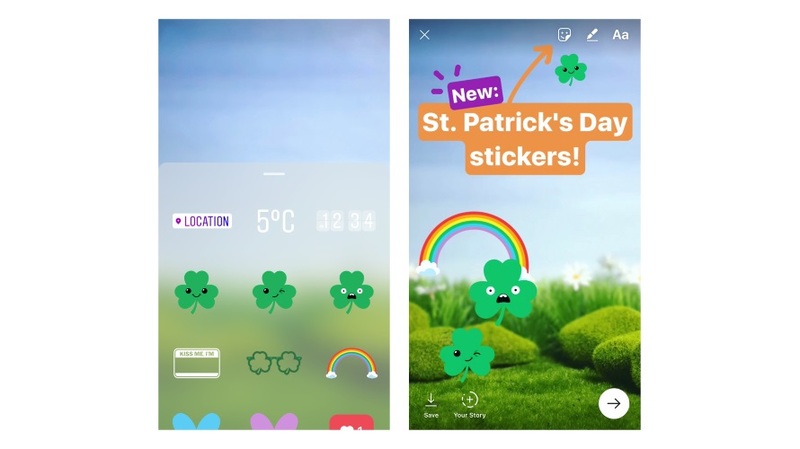 The Facebook-owned photo- and video-sharing network unveiled a set of St. Patrick’s Day stickers, which will be available to users in the U.S., Ireland, Australia and the U.K. through this weekend. Instagram introduced contextual stickers and holiday-themed stickers last December, and earlier this month, it announced the rollout of Snapchat-like geotagged stickers in New York and Jakarta, Indonesia.